Motorbike riders must not carry a pillion on a learner or P1 licence. You can carry one on your P2 licence with no restrictions. This gives you time to learn the characteristics of your motorbike and become more comfortable with riding on the road. The passenger should never be allowed to operate the bike’s controls, and should always hold on. If you are riding with a new passenger, make sure you explain where on the bike gets hot so that they don’t burn themselves on the exhaust, for example. Pillion passengers must sit astride the bike, not sideways, and be at least eight years old. Only one extra passenger is allowed to be carried on the motorbike itself. Downshift before stopping. When you come to a stop your pillion passenger should leave both of their feet on the footpegs. Pillion seats are sometimes higher up than the rider’s seat (as you can see in the image above) and therefore the pillion passenger won’t be able to reach the ground. Also, they won’t know which way you are leaning and could unbalance the bike causing you to fall over. In a turn you should tell your pillion passenger to lean in the same direction as you. The rider and passenger’s weight influence how the bike corners. If the pillion passenger stays upright it will make the bike much more difficult to turn. You should always get on your bike on the side away from traffic, i.e. from the left, and it’s no different for the passenger. Start the bike before you let the pillion passenger get on. Put both of your feet on the ground and pull on the brake lever. You can have the stand down, too, just as a backup in case you become unbalanced, but don’t let the stand take the weight of the bike and two passengers. The pillion should place their left leg on the footpeg while holding your left shoulder with their left hand. Then they swing their right leg over the bike onto the right footpeg while grabbing your right shoulder and then once seated move their grip around your waist (not the shoulders or arms because the rider needs these for steering and balance) or if there’s a grab rail on the seat they can hold onto that. Make sure the pillion doesn’t hold on so tight that you can’t breathe. Holding onto the grab rails forces the rider to sit upright which means their weight isn’t as centralised. Your braking will take must longer and you will have to rev the engine higher before you release the clutch because the entire weight of the bike will be considerably more (perhaps as much as 25% more). Make sure that you don’t lock the wheel. On a noisy bike (and most are), it will be difficult to hear each other over the wind and engine noise. It’s easier to pull over. You should agree on signals to communicate different actions, for example if the passenger is uncomfortable or needs to stop, or if the rider is about to accelerate hard to overtake. 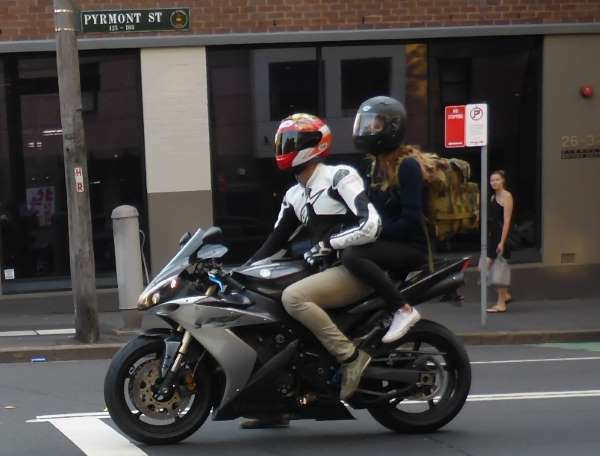 The rider must respect the passenger and whether they are used to riding (especially riding fast – a motorbike can seem much faster than a car). If your gear changes are harsh or if you use a lot of front brake, it will shift the weight of the pillion passenger forward which can cause them to headbutt the back of your helmet with theirs which is very annoying. You can always try changing gears without the clutch – just back off the throttle a bit and change gear (if your bike will do this). You can also use slightly more back brake to keep the bike more level – because there’s more weight over the rear there is more friction available on the rear wheel. 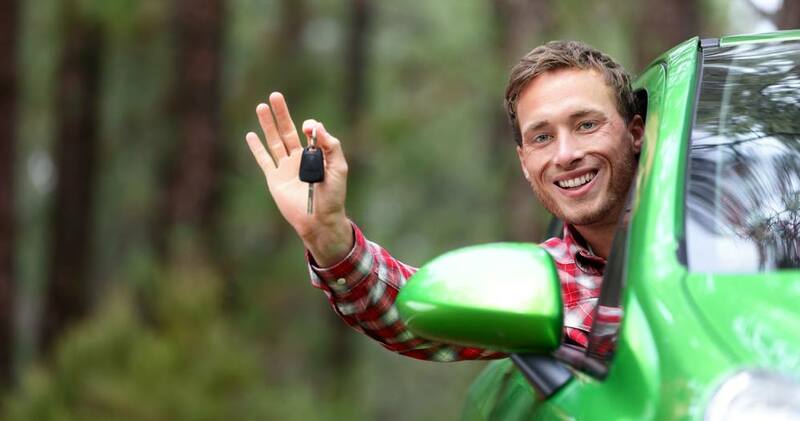 ‹ What’s the real cost of getting your motorbike licence? What’s the real cost of getting your motorbike licence? What is the real cost of getting a car licence?